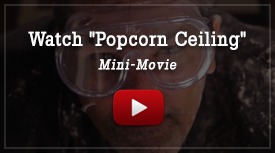 Want to kill mold without killing the environment? These products can help. Mold contamination is serious business. Left unchecked, mold growth can not only ruin your indoor air by filling it with allergens, but also damage your furnishings, building materials, and even structural elements. 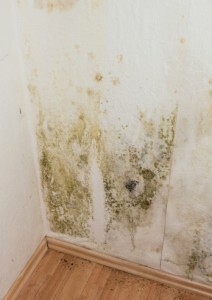 Naturally, you want to eliminate mold growth on your property. However, you don’t want to substitute one kind of indoor air contaminant for another, as may occur if chemical mold killers are used without proper ventilation and safeguards. Here are some environmentally friendly products that can help in the fight against mold. Tea Tree Oil: This natural fungicide works well as a mold killer to combat existing mold infestations and as a cleaner to help prevent future mold growth. Tea tree oil is also used for other purposes, such as a home remedy for sore throat or as an anti-septic for cuts and burns. This means it is important to make sure you are choosing the right tea tree oil formula for cleaning. The label should list the ingredients as made from the Australian tree melaleuca alternifolia and contain no less than 30 percent terpinen 4-ol and no more than 10-15 percent cineole. Grapefruit Seed Extract: Another natural product you may use to clean up mold is grapefruit seed extract. This product is totally non-toxic and works well to disinfect and deodorize. The acids in the grapefruit seed extract not only remove the surface mold but also penetrate into the pores of the host material to continue to kill mold spores and keep mold from regrowing. Vinegar: For smaller projects or for routine mold prevention, white distilled vinegar can be a very effective mold-killing agent. It is mildly acidic and has anti-bacterial properties. It is very easy to use, with no need to mix or dilute. Instead you simply apply the vinegar to a paper towel and wipe down the affected area. Then, allow it to dry for an hour and wipe clean with a damp towel. You will probably have to scrub a little to remove stubborn mold stains. Hydrogen Peroxide: Another excellent green cleaning agent for use in fighting mold is hydrogen peroxide. Hydrogen peroxide has anti-viral, anti-fungal, and anti-bacterial properties and its foaming action helps to remove mold from porous surfaces like clothing and walls. However, hydrogen peroxide also has bleaching properties so be careful to spot-test any materials before using hydrogen peroxide on them. Have a Serious Mold Problem? If you have a serious mold infestation covering 9 square feet or more, it is highly recommended that you get professional mold removal service. H2 Environmental can help by creating a professional plan for mold removal and facilitating every step of the process to leave your property clean and odor-free.